Sierra Club Books, 9781578051687, 272pp. In the long, complex history of coal exploitation in Appalachia, mountaintop-removal (MTR) mining is the most destructive practice yet visited upon the land and its people: Ancient forested mountainsides are blown up to extract the underlying coal, and the resulting debris is dumped into nearby valleys and streams. The politics and economics of mining in the region have long allowed coal companies virtually free rein, but in recent years, opposition to MTR has gained national momentum. This illustrated volume, like the powerful documentary film on which it is based, gives voice to the growing chorus of protest against MTR mining in Appalachia through a collection of essays, oral history, commentary, and images. It features many of the personalities from the film in their own words, as well as thoughtful essays by such eloquent voices as writers Wendell Berry and Silas House, activist Judy Bonds, journalists Michael Shnayerson and Denise Giardina, and entertainers Kathy Mattea and Ashley Judd. 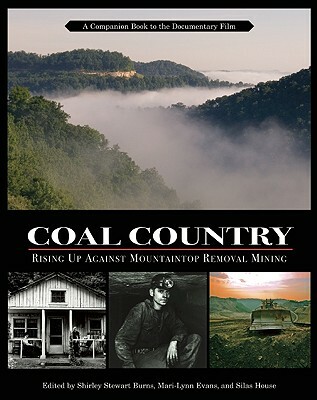 Illustrations include contemporary photography of this still-beautiful region--and of mining devastation and the affected landscapes, communities, and people--by noted photojournalists such as Mark Schmerling, Builder Levy, and Vivian Stockman, as well as archival photos of Appalachian mining and culture. Sidebars feature excerpts from contemporary and historical literature, poetry, song lyrics, drawings, cartoons, and ephemera.